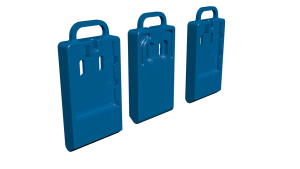 Keech skirt liners are an adjustable wear liner used across a range of GET and industrial applications. Available in Keech high impact steels and white irons. Features a weld on adapter. Tapered to suit conveyors and apron feeders. 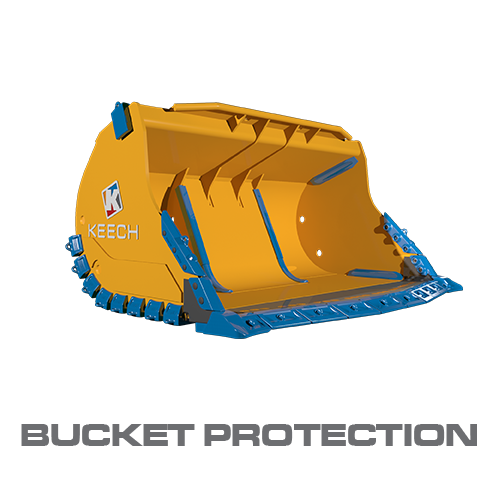 Keech Skirtliners are an adjustable, lightweight and easy to install wear liner used across a range of mining and industrial applications. 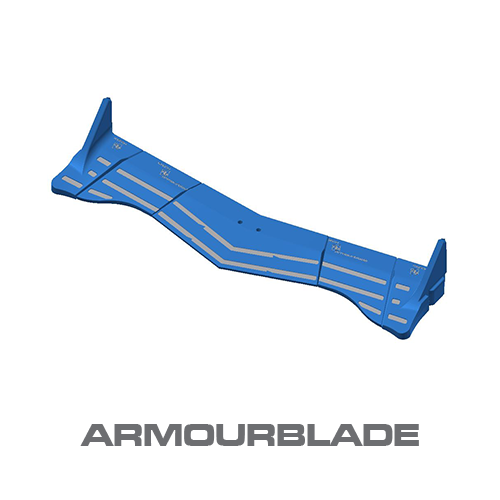 Skirtliners are used in a feed hopper along the bottom edge of the sidewall to stop dirt and rock that has dropped onto a belt or an apron feeder pan from spilling over the edge. Skirtliners form the shape of the belt load as the belt carries the material away, to ensure it is not overloaded and doesn’t spill over. Depending on the speed of the belt and the abrasiveness of the material it can be a high wearing area. 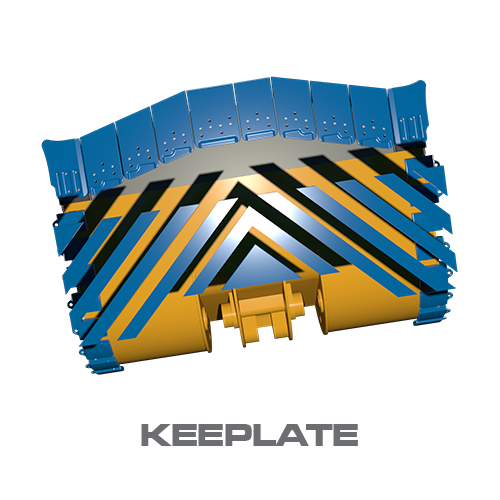 It is desirable to have the bottom of the skirt liner running as close as possible to the passing belt because should a rock lodge between the belt and the liner it can rip the belt causing major disruption while it is repaired and costing a large amount to fix. For this reason it is important to be able to adjust the liner height. 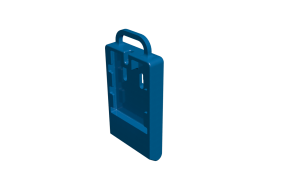 Skirtliners consist of an adapter or base plate which is welded to the inside wall of the box or the chute wall. A set of shims sit in the adapter and the liner fits on and is bolted in place. Set up so that the blade is sitting as close as possible to the belt. Once wear occurs you simply remove the liner, remove a shim and refit the liner. This will drop the liner close to the belt again. 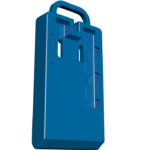 Used in areas where access to the outside of the drop box or crusher box is restricted. Whether it be the need to build scaffolding to access the outside of the box which can be expensive and time consuming or there is other infrastructure in the way. Every fitment and adjustment is done from inside the box. 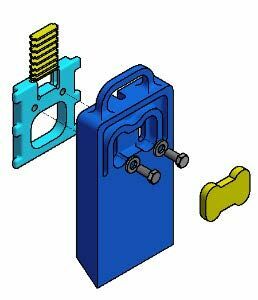 Keech Skirtliners can be changed out by one person and result in reduced shut down times. 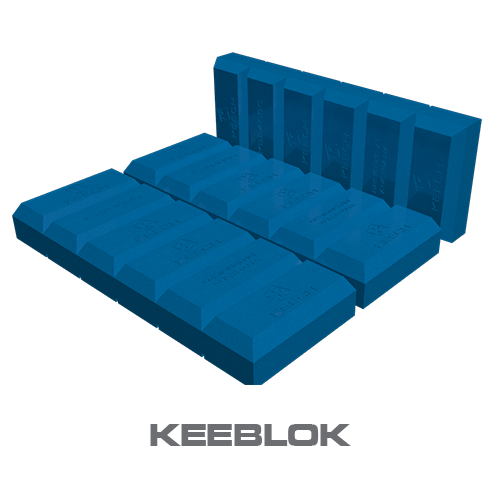 Maximum wear protection extends the life of valuable mining and industrial equipment.